If you want to see first hand how cryptocurrency functions in a market outside of speculative investing, right now, Venezuela is an interesting place to look. Venezuela has been in economic recession for more than a decade. As a result, the government has maintained strict control over its currency, the Venezuelan bolivar (VEF), since 2003. Venezuela’s most abundant resource is oil. It is the fifth largest oil exporting country in the world, with the largest reserves of non-conventional oil (extra-heavy crude) in the world. Ultimately, it is oil which has catalyzed Venezuela’s cryptocurrency boom. Falling oil prices since 2014 have spurred the country’s current economic depression. The government’s response has been to increase state control over the economy at the expense of the private sector. In 2017, inflation of the Venezuelan bolivar (VEF) exceeded 650 percent. As the exchange rate continued to tumble, the country’s gross domestic product (GDP) contracted 12 percent by the end of 2017. “Many people are leaving Venezuela. The country doesn’t have enough money to provide food, medicine and other necessities for its people,” a Venezuelan programmer aware of cryptocurrency mining procedures in Venezuela told Bitcoin Magazine in an interview, under condition of anonymity. In this economically desperate climate, cryptocurrency has found one of its most sustaining use cases as an immutable store of value and currency for individuals who cannot trust their own government. The last two years have seen an enormous spike in cryptocurrency earning and mining, most notably for bitcoin. Because the Venezuelan government subsidizes electricity past the point of negligibility, the country has become a geopolitical hotspot for mining. 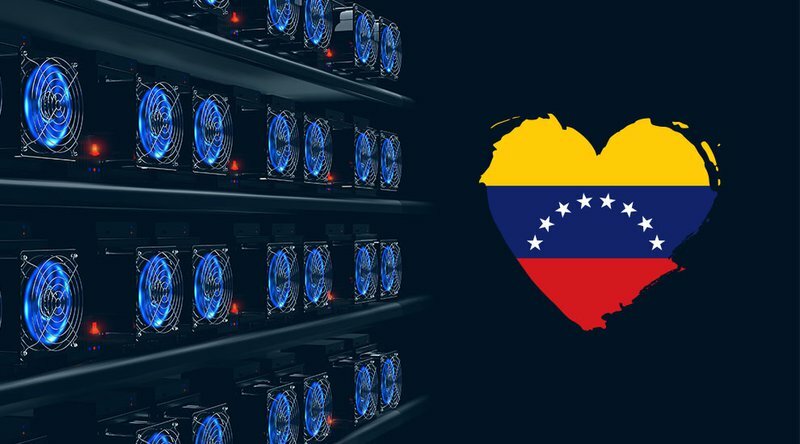 Antminer S9s are the most popular computer used to mine bitcoin in Venezuela. They cost about $3,000 each (plus shipping) and usually come from China by way of a covert middle country. According to our source’s approximation, “Having three S9 miners is about 30 cents a month to pay for electricity. Three devices would be one bitcoin-ish in 10 months.” The beginning price for mining has made it an effective way to supplement income, with two to three devices per household, though many have scaled their operations to the point where they are able to independently support themselves. In Venezuela, bitcoin is the most commonly mined cryptocurrency because it was the first, and it is still currently the most widely used. LocalBitcoins has also given bitcoin the advantage in Venezuela because it does not trade other cryptocurrencies; it is able to operate more safely than other local exchanges because it’s not based within the country. However, Brito also admitted that Ethereum, Litecoin, Dash and Bitcoin Cash as well as other altcoins are being used more and more often. According to our anonymous source, there are two main problems with mining cryptocurrency in Venezuela: In a country where the national currency has essentially no value, people are willing to get currency with value at the cost of committing violent crimes; and the government is not on your side. 2017 was a particularly confusing and uneasy time to mine cryptocurrency in Venezuela. The year began with a government authority crackdown on large scale cryptocurrency mining operations. By October 2017, authorities were even cracking down on small “household” mining operations. The congruity in all of these raids is that arrested miners could almost always get out of jail through bribes or fines, but they could never get their equipment back. Brito doesn’t live in Venezuela anymore, but, as a self-described “anarchocapitalist” and libertarian, he is still very critical of its government. Most of the big mining farms with thousands of ASICs or rigs are run by people close to the government, those that are not and are caught with several devices, end up being raided and the devices subtracted. Regular people buy the devices with foreign currency they have saved or they acquire in the free (black) market, or buy them from others that import them using bolivars inside the country. On December 3, 2017, Venezuelan President Nicolas Maduro announced that the Venezuelan government would create its own official cryptocurrency called the Petro. He then went on to highlight the benefits of cryptocurrency mining, introducing a representative from the newly formed National Association of Cryptocurrency Miners. Less than two weeks later, however, police raids on cryptocurrency mining operations proceeded as though it were still as illegal as ever. “We are building the Blockchain Observatory for the possibility of a registry for all those who are exercising digital mining in Venezuela. We want to know who they are, we want to know where they are, we want to know what equipment they are using. We want to move toward the regularization of digital mining in Venezuela,” announced the recently appointed superintendent of cryptocurrency, Carlos Vargas, in December 2017. In January 2018, the Venezuelan government opened online registration for those interested in mining cryptocurrency legally. While Petro is clearly the main focus, authorities have said that those involved in the program can mine other cryptocurrencies so long as they are approved by the state. There is very limited third-party confidence in the Petro’s success. While some cryptocurrency champions might say, “Wait, a decentralized token representing a finite oil supply could be very interesting, if done right,” most remain skeptical. “It [Petro] is backed by nothing but the promise of a government that have already defaulted,” said Brito.